A 501c(3) non profit Corp.
Polypharmacy is the use of multiple medications by a patient -- most common among the elderly -- especially when too many forms of medication are prescribed. 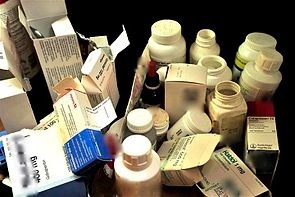 The prescribed medication may not be clinically warranted, or even when clinically indicated, there are too many pills to take (pill burden). The most common results of poly pharmacy are increased adverse drug reaction, drug-drug interactions and higher costs. Mono therapy is the use of a single drug. Our goal is bring forward awareness of the " Beer's list" to the community and to improve the quality of life of the patient. BEERS LIST, Criteria for Potentially Inappropriate Medication Use in Older Adults. A guideline for healthcare professionals' to help improve the safety of prescribing medications for older adults. The criteria are used in geriatrics clinical care to monitor and improve the quality of healthcare. The criteria are also used in clinical care, training, research, and healthcare policy to develop performance measures and document outcomes. The "Beers Criteria" contains lists of medications that pose potential risks outweighing potential benefits for people 65 and older. By considering this information during routine care, practitioners may prevent harmful side effects, including those that could be life-threatening and other "adverse drug events". As more and more people reach geriatric status, the delivery of safe and effective healthcare in this special population has become increasingly important.